Brecon Leisure Centre has some of the finest outdoor facilities in Powys. The main areas are our Grade A 8 lane 400m Athletics Track and our full size Astro Pitch. If you are a Welsh athlete then you will have probably raced at Brecon at some stage. Our Grade A 8 lane 400 metre track provides a first class surface for elite performers. To compliment the track we have all the facilities for field disciplines. 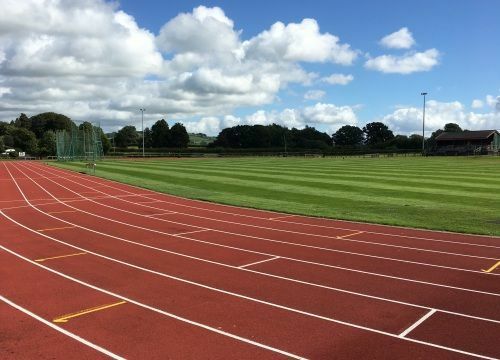 Whether you are a thrower or a jumper Brecon is the ideal training venue with hammer cages, discus circles and high jump and long jump pits. We are proud to be the home venue of the very successful Brecon Athletic Club. The club caters for all ages and abilities, with groups for Track and Field, Cross Country and Road Running events. Training takes place at the track in the outdoor season (March to September), and in our sports facilities at the centre and high school in the indoor/Cross Country season (September to March). The track is available for public use throughout the year outside of club training sessions. Customers are asked to visit main reception first to pay for their session. 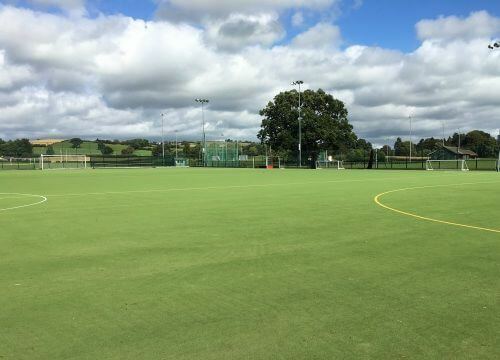 Our Astro Turf Pitch is one of the best in the region. It is full size so can be used for football or hockey. The pitch can also be divided to give outdoor 5 or 7 a-side football pitches. The pitch has the necessary floodlights so can be used all year round during centre opening hours. 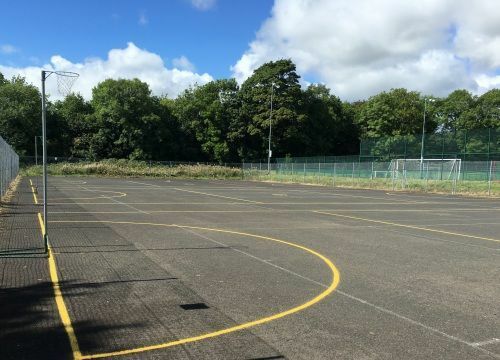 As well as our Asto Turf Pitch we have other outdoor sports areas including our hard court tarmac tennis courts.